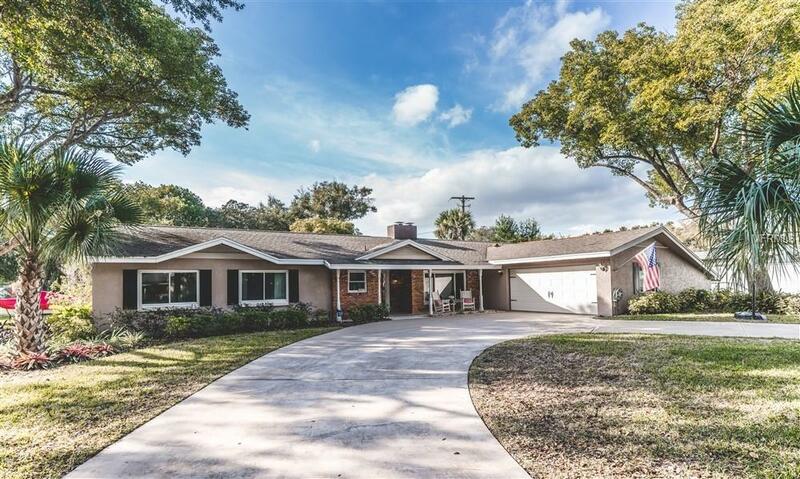 Make this remodeled 4 bed- 2 bath- 2 car Ranch style home with pool on large corner lot in Dommerich Estates, a highly sought-after A-rated zoned school district, your new home. Functional open floor plan, new wood-like tile in living, adjoining dining, kitchen, foyer, hall & family areas. New double pane E-glass windows, new & updated appliances, new A/C Lennox system, new 200 AMP main power supply and line, new cable and CAT 5 wiring with media hub, & new attic insulation. Eat in Peninsula Island Kitchen w/built in microwave, glass cooking surface, & double oven. Granite counters, custom sink, all wood 42 soft-close cabinets, LED recessed lighting, tiled back splash. Large Master Bedroom, his & her custom closets, Master Bath w/glass block shower, w/dbl. sink, pool access. 3 add'l. Bedrooms with hallway access to remodeled full Guest Bath. Formal Dining or Living area with unique brick mid-level fireplace and large picture window. Dining area w/ 12' wide double-French door access to large 15' x 30' resurfaced extra deep salt-chlorinating pool with newly installed 1.5 hp pump.pool & spacious deck, north facing windows, archway to kitchen and adjoining tiled cozy Living Area w/ functional remodeled brick fireplace. This home has Deeded access to private park and boat ramp to the Maitland Chain of Lakes.